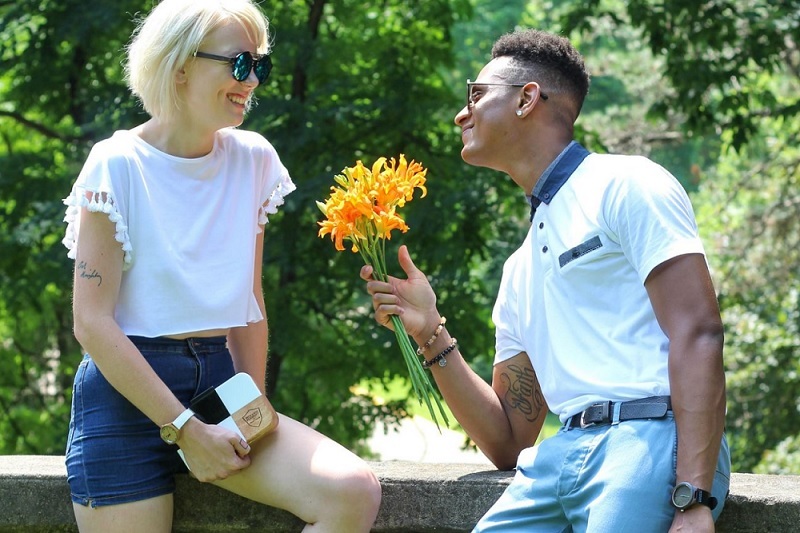 Wooden Element is a Chicago-based, family-owned start up that creates handcrafted wooden fashion accessories by founders Natalie and David Akerele. 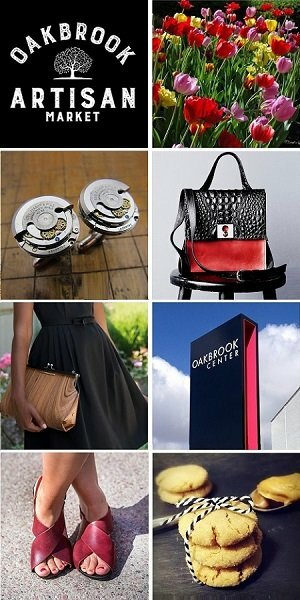 Their mission it to redefine classic fashion accessories with a creative modern flare while being socially responsible and embracing sustainable fashion principles. We are excited to welcome Chicago-based Wooden Element to the Oak Brook Artisan Market at Oakbrook Center on Sat & Sun, May 18-19, 2019. This 2-day outdoor market showcases the Midwest’s finest artisans in fashion, food, home goods + art. 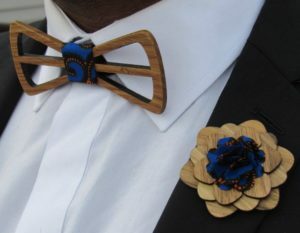 • Bow Ties: Reclaimed wood is used to produce Bow Ties with different styles and shapes and unique fabric compliments the wood grain bow ties. Wooden Element is currently working on a fun line of Wooden Bow Ties for dogs. • Wooden Sunglasses & Glasses: Multi-layered pieces of wood are used to craft durable and stunning wooden frames. The wood layers combined with cellulose acetate frames produces a striking pair of glasses that customers love. Check out The Chief Collection in collaboration with Celebrity Stylist Ugo Mozie. 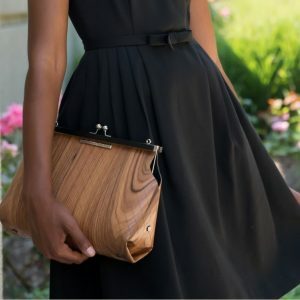 • Handbags: With bags in two price ranges, the more causal bags are made from re-purposed bamboo. They have an acrylic pearl or acrylic black and white outer finish. Wooden Element is collaborating with a Chicago based Muralist/Artist Jenny Vyas to develop a new handbag line out in 2019. The higher end bags are designed in house and handcrafted by an Italian artisan in Milan. These bags feature unique geometric designs that are fashion-art pieces, and have a unique textured outer veneer, with some bags juxtaposed against high-end Italian leather. • Watches: Wooden Element’s most most popular pieces, the watches feature handcrafted dials and links with a Japanese movement mechanism. They come in a bamboo round case or a birch wood square case. • Wallets: There are two styles of wallets. The more causal piece is all wood, featuring six grains of wood: bubinga, sapele, bocote, walnut, oak and zebrawood. The second style of wallet is combination of wood and Italian leather and features West African ebony wood, Asian rosewood and American walnut. The Wooden Element family respects nature, and their philosophy is to craft sustainable fashion accessories in a manner that does not harm the environment. Wooden Element strives to bring a creative and bold flare to the modern day fashion paradigm. Their products and accessories target individuals who value craftsmanship, ingenuity and attention to detail. They provide a twist on classical fashion accessories that will ensure their clients stand out from the crowd. Providing quality items that marry fashion with art is a fusion that focuses on geometric constructs, utilizing rare and vintage raw materials. Wooden Element provides their clients with eye-catching finished products and accessories that are visually stunning. Their artisans take pride in their work and obsess over every detail from inception to completion.